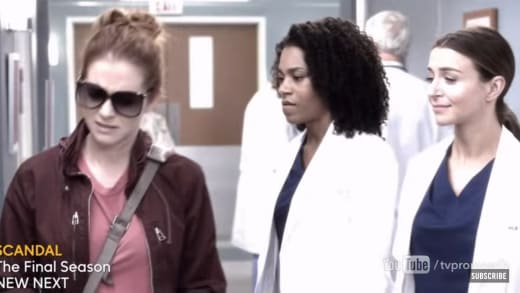 Grey's Anatomy Promo: May the Odds Be in Their Favor! It's time for a little healthy competition! 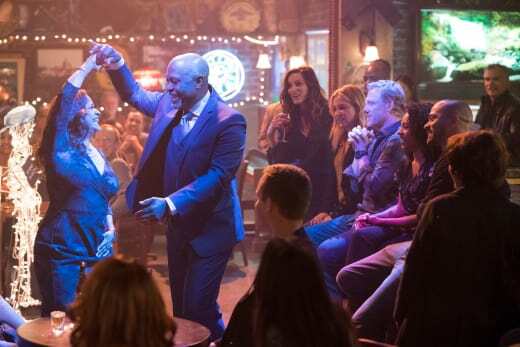 On Grey's Anatomy Season 14 Episode 12, Grey Sloan Memorial's finest will be engaging in a little friendly competition with a grand prize of $5 million dollars. What's a girl gotta do to get in on that?! Jackson came up with a competition of their own akin to the Harper Avery one, and this time he gets to partake in it himself. It's just what the hospital needed to revitalize the field and get the doctors passionate about research in their fields. It's so appealing that even Richard is in on it. Unfortunately, he hoodwinked April into being the judge, so she can't compete with the others. She's not at all bitter about that. Speaking of April, while this jaded, faithless woman is a far cry from the Little Miss Sunshine we have become accustomed to over all these years, I'm not mad at her shades and messy hair don't care vibe she's giving off in this clip. Miranda will be recuperating from her heart surgery, but you can't keep Miranda Bailey down and out for very long. Elsewhere, we can expect to see a bit more from the interns. With the Sam sexcapades, Roy's tryst with April, veteran, proud trans man, and hacker extraordinaire Casey, and lovable Levi, the interns are slowly becoming an interesting bunch. If you skipped out on the previous episode because you were afraid Miranda would die, you can watch Grey's Anatomy online here via TV Fanatic! Check out the promo and share your thoughts below! Are you excited for what should be a fun-filled hour of Grey's Anatomy?! It should be a blast! Grey's Anatomy Season 14 Episode 12: "Harder, Better, Faster, Stronger"
Jackson Avery, you are such a disappointment. I thought you were woke! Permalink: Jackson Avery, you are such a disappointment. I thought you were woke! Jackson: We made a rule. Jackson: The rule that says you and I don't work together on genitalia because you have no filter. Permalink: The rule that says you and I don't work together on genitalia because you have no filter. Grey's Anatomy Round Table: April's Disconcerting Downward Spiral!